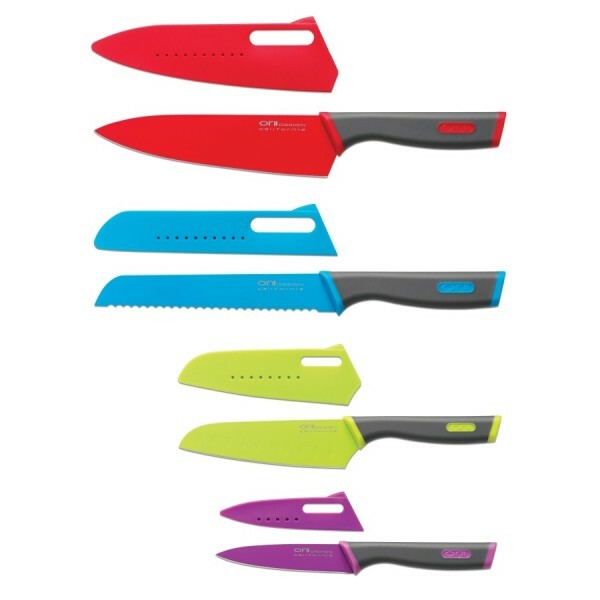 •	All knives feature razor sharp high carbon stainless steel blades for superior cutting performance. 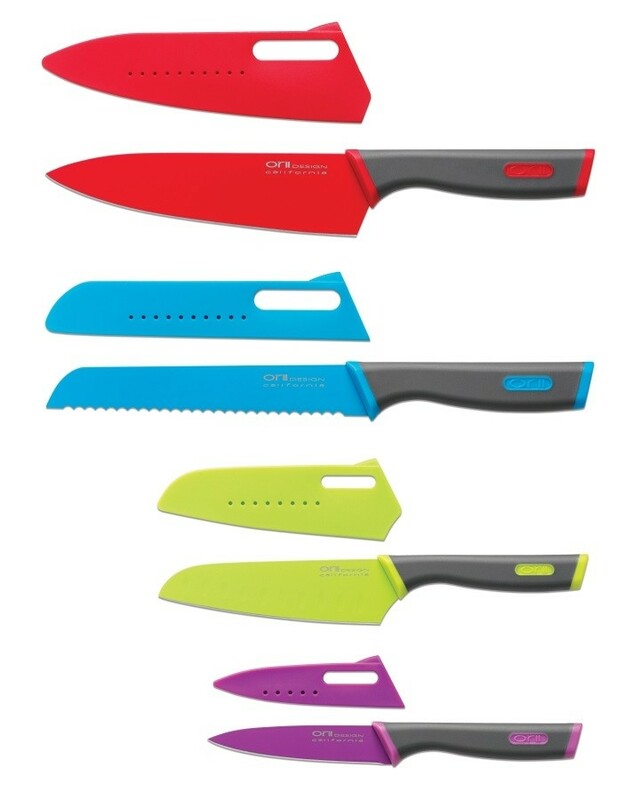 •	FDA approved non-stick coating deters food from sticking and makes cleaning quick and easy. •	Soft, form fitting ergonomically designed grips provides greater comfort. 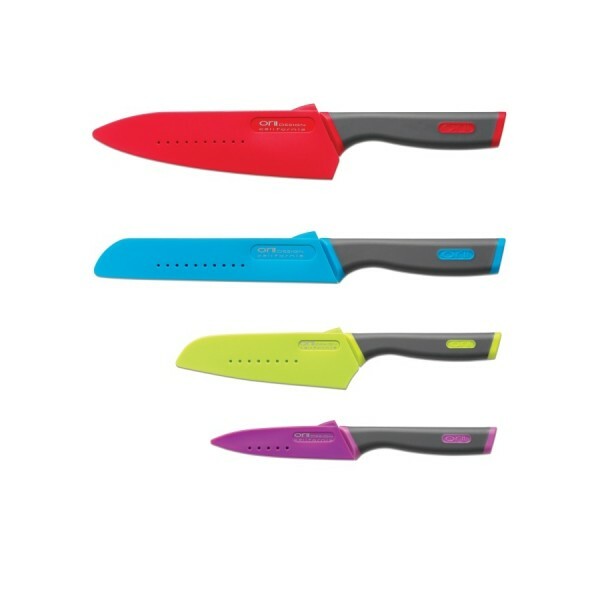 •	Color matching hard plastic sheaths protect the blade and makes storage safer.